Note: This blog entry is excerpted and adapted from my upcoming book, tentatively titled The Church Planting Journey. We’ll be posting excerpts about once a month here and we’d love to hear feedback from you. We hope you are getting as excited about it as we are! And as we get closer to publication, we’ll give you the countdown! In research done on the starting of new businesses, the key ingredient for success or failure was found to be time management. Entrepreneurs need to be focusing on the right things. It’s easy to spend monumental amounts of time on minutia, but what’s needed is a focus of energy on that which is truly important. It’s surprising how much of good leadership relies on good time management. There are always many, many possible things to do, and many demands on the time of church planters. Yet we must all make decisions about how to best use our time during particular seasons of ministry. There are certainly times for putting out fires or dealing with crises or taking on difficult challenges, but if we are spending most of our time that way, we don’t have the availability for long-range planning for the development of the new church and its health. Consequently, we need to be intentional about how we choose to spend our time. What will make the most difference? What can only we do? What will further the overall mission most effectively? It’s a matter of choices and priorities. Each planter might make somewhat different choices, depending on his or her gifts, best contributions, and season of life and ministry. There’s no one right answer all the time. 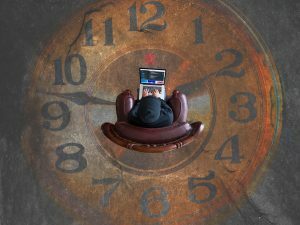 Discern what’s important: Before we can manage time well, we need to take some time to discern what’s truly important for us to be doing with our time. Jesus regularly took time away to pray (Mark 1:35). We need to do the same, listening to the Spirit to hear from him about how we should be investing our time. Recognize what’s necessary: Time management is not all idealism. It may sound good to say we want to spend all of our time doing ministry, but we need to take a hard look at our real-life situation. What relationships do we need to maintain? What are our current responsibilities? In different seasons of life, we may have aging parents, young children, or spouses with medical challenges. Focus our Kingdom investment: After considering what’s required of us, we can then consider what ministry should look like in this season of life. What should our contribution be? We can’t do everything, but we should do something. What will that something be? Zero in on it. Use our time intentionally: When we know what we are supposed to be focusing on, we then need to be intentional about how we use our time. Just “seeing how things go” is a recipe for wasted opportunities. At the same time, that doesn’t mean we never relax. On the contrary, using our time intentionally means proactively building in the rest we need—and protecting it from interruption. In this way, we can schedule our time to align with our priorities. Evaluate and adjust as we go: The life of a church planter seldom goes according to plan. There will be interruptions, and some of those may be things we need to attend to. We can regularly reflect on how we are managing our time. What’s working? What’s not working? How can we build in the amount of flexibility we need while still remaining focused on what’s truly important? These are key questions for ongoing effective time management. As church planters, you need to keep your family relationships, health, and spiritual lives on track so you and your ministry are sustainable over the long haul. As Bobby Clinton wrote, “Ministry flows out of being, not doing.” Let how you manage your time reflect that reality. Can’t wait for the Church Planting Journey to come out? We recommend the Time Management Skills Builder and The Church Planting Coaching Guide and Storyboard.